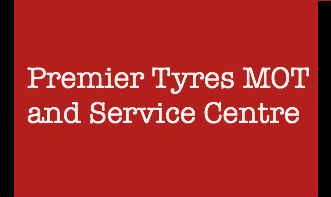 Need a garage in Wolverhampton to fix the Diagnostic Check on your Renault? Save money: Instantly compare Renault Diagnostic Check prices in Wolverhampton to find the best deal. Save time: Find and book the best Diagnostic Check deal quickly and easily with our online booking tool. No upfront registration required! Quick and easy: Simply enter the vehicle registration number of your Renault and your post code, compare prices, choose a garage in Wolverhampton and book your Diagnostic Check. Speak to an expert mechanic: If you need to speak to a mechanic about your Renault, call one of our experts today on 03304 004439. "Had a full service and was very pleased with the communication throughout. They were very friendly and offer excellent value for money. A very happy customer!" "Happy with the service and quality of work & customer service is 5 star"
"Perfect from start to finish - easy to book online, helpful staff and very good value for money." "Kept informed and price was reasonable"
"Family run business who provide a personal service." "Very happy, quick service, god value." "Very happy with this service. Staff were lovely and helpful and work was completed in good time." "Great service, good team who are always friendly and helpful. I would never consider another garage!" What does a car diagnostic check do? A diagnostic check is carried out on your vehicle by a mechanic, who will plug your vehicle into a specialised code reader. It can detect problems with your vehicle which may be difficult to spot manually. Why is a car diagnostic check important? A diagnostic check is very important as it can detect a potential problem with your car, even before a breakdown. The computerised equipment scans your vehicle’s system to check for any faults, no matter how minor or major. A diagnostic test is a quick, easy and accurate way to discover any faults and will give you the chance to get them fixed before they turn into bigger and more expensive issues. When your car has a fault, this may show as a warning light on the dashboard. If the light goes out the system will store the fault code so the garage will find this when they do the diagnostic check. What are the possible signs that your car needs a diagnostic check? Engine warning light - if the engine warning light appears on your dashboard, it’s important to take your vehicle to a garage as soon as possible as there is a wide variety of problems which the light may be flagging up. Strange noises – any strange noises coming from your car need to be checked out before they turn into more serious problem. Some of these sounds may include; whining from the bonnet, abnormally loud exhaust, uneven engine noise, brake squealing or gear crunching. Smoke - if you see smoke or steam coming from under the bonnet, your vehicle may be overheating. Vibrating - if you notice any vibrating or pulling under your brake, the issue may be due to work brake discs or pads. However, it could also indicate a problem with your suspension or steering. How long do car diagnostics take? You can expect a diagnostic check on your car to take approximately 90 minutes. You may want to allow for more time though as the mechanic who will be carrying out the check might not be available to start right away. How much does a car diagnostic check cost? The price of a car diagnostic test can vary, depending on the garage that you visit. Each garage has a fixed price for diagnostic checks, ranging from £30 - £100. Enter your vehicle registration number and post code into BookMyGarage (at the top of this page) and you can instantly compare diagnostic check pricing from all of the garages in your local area. As well as price, you can see the garages’ reviews, distance from your post code, extra services offered and availability. You don’t even have to register to get access to all of this information. When you have selected a suitable garage, you can choose a date, any optional extras (such as collection and delivery, loan car etc.) and book online. Another French company churning out good-looking vehicles, Renault has been in the business of making cars since 1899. The alliance of Renault with Nissan (conveniently called the Renault-Nissan Alliance) make up the fourth largest automotive group in the world. Renault is also widely known for its role in motor sport, particularly Formula 1. Early work on mathematical curve modelling used on Renault car bodies is an important, but little known, part of the history of computer graphics. Renault began to take part in motorsport early in the 20th century, largely due to Marcel Renault’s own interest in the sport. Over the years, Renault acquired multiple companies with sporting connections, and in the 1970s set up its own dedicated motorsport division, Renault Sport, winning both the Le Mans 24 Hours race and the Renault Alpine A442. But back to the world outside of motor sport! Back in 2013, the newest Renault vehicles had the lowest average CO2 emissions among European generalist brands, average at 110.1g/km. As every garage owner will tell you, there are some tried and tested ways to cut down on your petrol costs (and consumption) while you’re out and about in Wolverhampton or beyond. One is to shut your windows. If you can hear that wind noise in your car it’s costing you more to drive. This is because the car becomes less aerodynamic and has to work harder to motor along. Removing a roof rack will improve your fuel efficiency for the same reason. Another useful tip is to combine short trips into one; each time you drive after your car has been parked for a while the engine will be cold and need to use a lot more fuel for the first 5 miles or so. If you do one trip from school drop-off to supermarket to office you’ll use far less fuel than if you do all those trips individually.